Time goes by quickly while you’re enjoying twisting curves in a Porsche. When the time has come for your lease term to end, why should your Porsche experience come to a close? 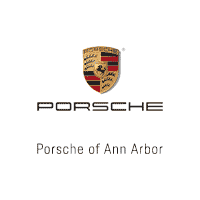 Porsche of Ann Arbor has a variety of possibilities to help continue the unparalleled experience you’ve come to enjoy. We’re here to help the transition from your current lease into a brand new Porsche as straightforward as starting the engine. Do I need to have my Porsche inspected before returning it? Yes. This inspection provide an itemized list of all excess wear and damage. This information is useful when determining whether or not to complete the necessary repairs before the lease maturity date. Do I have to return my Porsche to the original dealer? No. Your vehicle can be returned to any authorized Porsche dealer. How much will it cost me if I exceed the mileage limit? The excess mileage charge is $0.30 per excess mile on all Porsche models. For more details, see your original lease agreement or contact Porsche of Ann Arbor. What do I need to bring when I return my Porsche? Please bring your Porsche keys as well as all original equipment which came with the car and we will handle the rest. Also check to make sure all of your personal belongings have been removed as well. Can I get a new Porsche and terminate my current lease early? Yes. We often have programs available to make this possible. Our Lease End Advisors will be happy to provide you with current program details. To request an appointment, complete the short form below and one of our Brand Ambassadors will be in touch with you shortly to confirm a date and time.